Chelsea are looking at bringing back Petr Cech, when Thibaut Courtois eventually signs for Real Madrid. Reports on Tuesday, claim that both clubs have agreed a £31million fee for Courtois and the transfer is set to happen. With the Belgian leaving, the Blues are already looking around for replacements. According to Sky Sports’ Kaveh Solhekol, Cech is an option, along with Leicester City’s Kasper Schmeichel. “Chelsea considering re-signing Petr Cech if/when they sell Thibaut Courtois to Real Madrid. “Chelsea also interested in Leicester City goalkeeper Kasper Schmeichel. “Liverpool have made big move for other Chelsea target Alisson,” Solhekol tweeted. 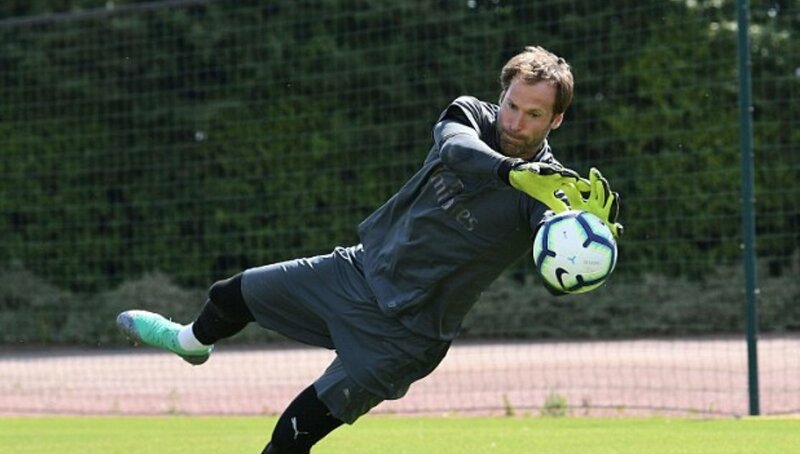 Cech left Chelsea for Arsenal in 2015 in a £10million deal.